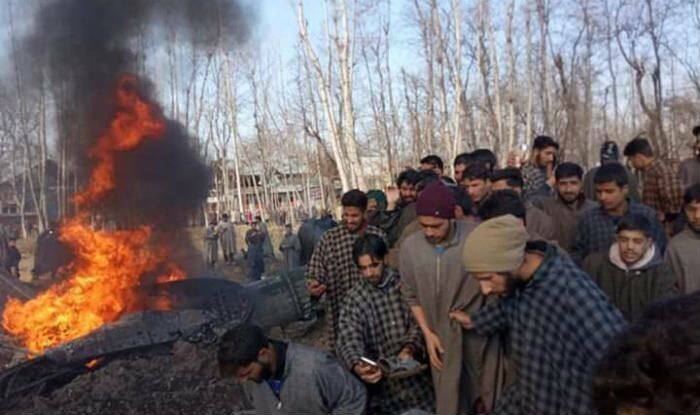 An Indian Air Force (IAF) jet crashed in Naslapur area of Budgam district in Jammu and Kashmir on Wednesday. The plane reportedly crashed due to a technical glitch. However, an official confirmation from the IAF and Ministry of Defence is yet awaited. The IAF rescue team has reached the spot. The jet broke into two and caught fire immediately, the officials were quoted as saying by PTI. The police have found two bodies at the crash site, SSP Budgam was quoted as saying by news agency ANI. However, their identities have not been ascertained. “Some aircraft has fallen. As of now we aren’t in a position to ascertain anything. Technical team is here, they’ll ascertain facts. We have found 2 bodies so far and have evacuated them. Search is going on here,” he said. Meanwhile, the airports in Leh, Jammu, Srinagar and Pathankot have been put on high alert. The airspace has been suspended due to security reason and the commercial flights have been put on hold.